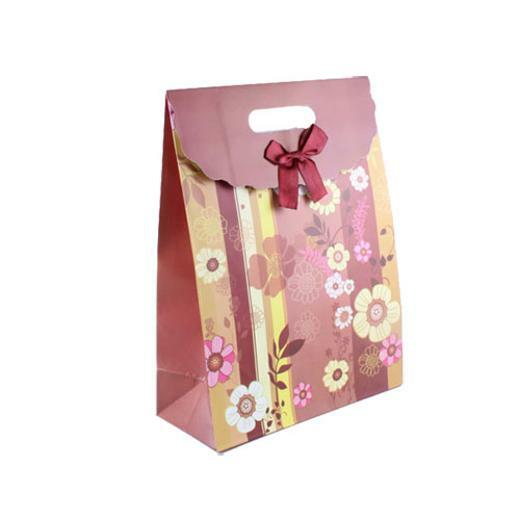 1 Size Small flower printed gift bag. This unique fold top gift bags features a beautiful floral design on a multi-colored background. Fold top has a pretty scalloped edge and a burgundy ribbon bow. Quality gift bag can be used for weddings, birthdays, graduations and more. Perfect for jewelry, gift certificates, crafts and other small gifts. Bag Dimensions: 5" x 2.5" x 6.5".